October 27, 2017 / Modified nov 3, 2017 5:05 p.m. 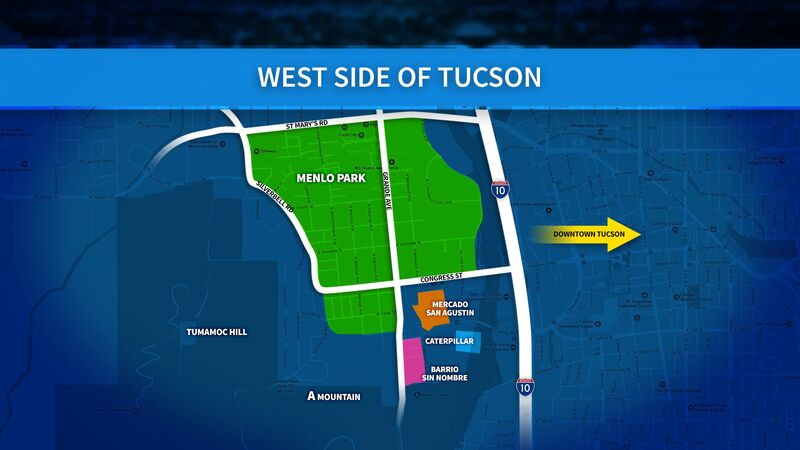 In this episode of Metro Week, we take a closer look at development happening on Tucson’s west side. City Councilmember Regina Romero has represented the area for nearly a decade. We chat with her about how the west side is evolving and what the obstacles have been. Arizona Daily Star columnist Ernesto Portillo has a long personal connection to the west-side neighborhood Menlo Park. He spent much of his childhood there and is a current resident. We sit down with Neto, as he’s known, to talk about how neighbors feel about the changes and why he loves that part of town. The Gadsden Company, which owns and operates Mercado San Agustín, at 100 South Avenida del Convento, has been a major player in developing the west side. We talk with owners Kira Dixon-Weinstein and Adam Weinstein about their vision for the neighborhood. VIEW LARGER A map of Tucson's west side. When voters authorized Rio Nuevo in 1999, a major component of the project was the construction of historical and cultural sites at the base of “A” Mountain, referred to as Tucson’s birthplace. Only one of those projects has come to fruition: the Mission Gardens. We go for a visit and talk with outreach director Dena Cowan about how the area could, in the future, look very much like it did in the past. Sentinel Peak, or “A”Mountain, is one of the west side’s most iconic landmarks. Each year a tradition on the mountain marks the beginning of University of Arizona homecoming festivities. We’ll check in on this year’s ceremony.